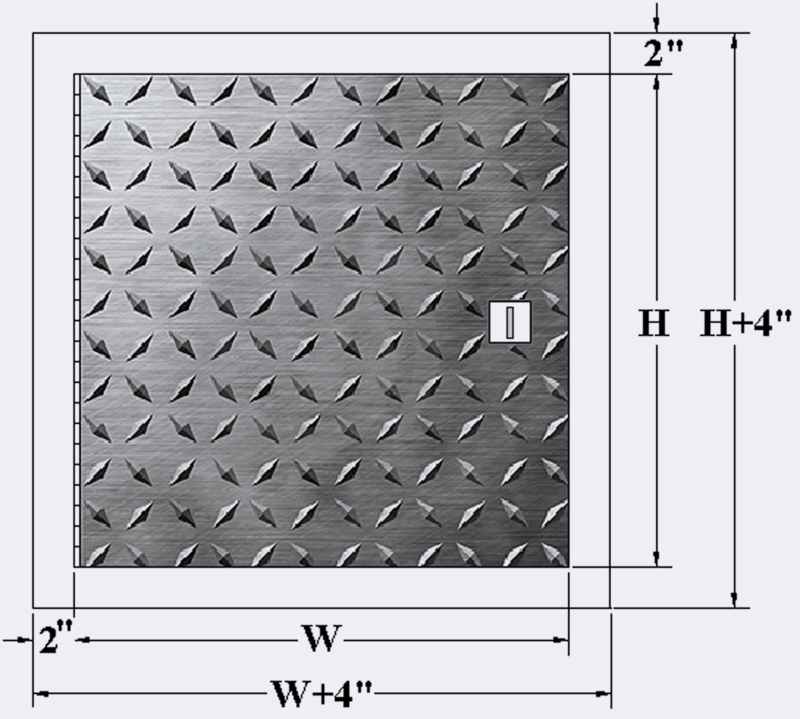 The aluminum floor hatch provides a reliable and secure access between building floors. This model is equipped with a key operated recessed handle cam latch. 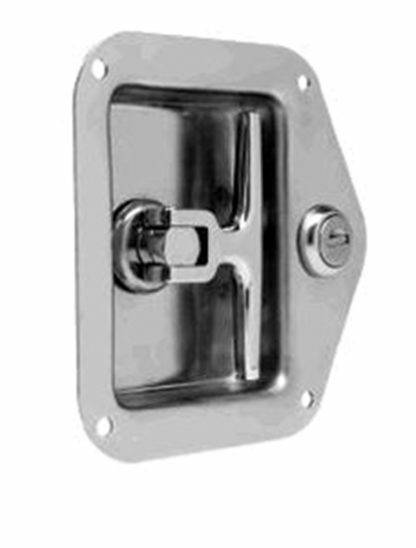 Heavy duty aluminum continuous piano hinge, 0.08". Hinge location: Hinges must be located on the second dimension (height). Individually wrapped, 1 door per box. 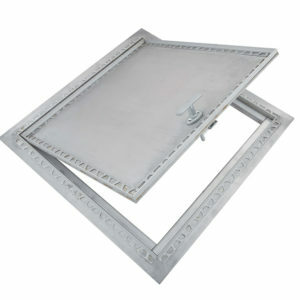 Designed with a recessed panel, the aluminum floor hatch provides a reliable and secure access between building floors. 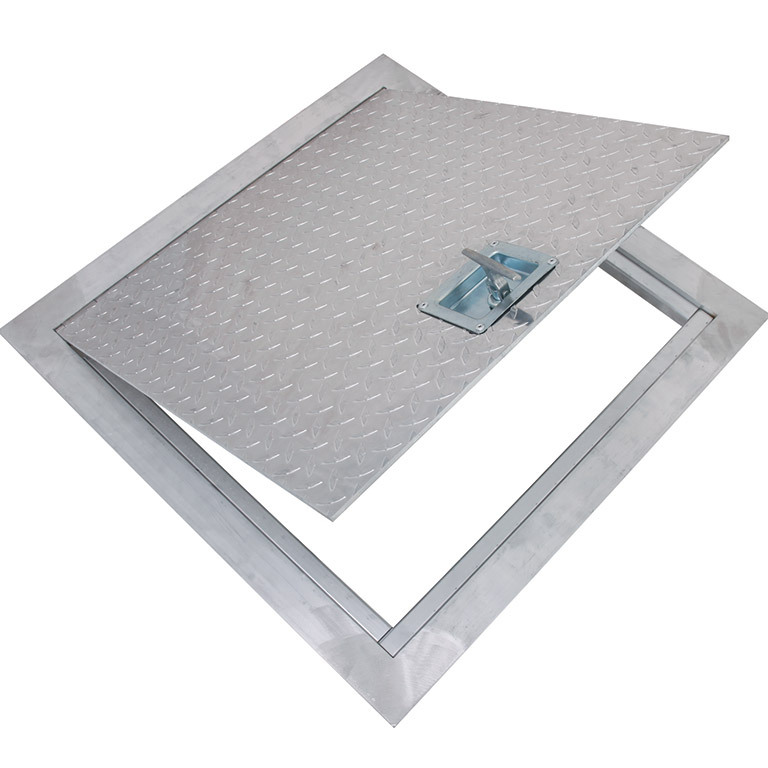 The aluminum floor hatch provides a reliable and secure access between building floors.